- Fixed issue for iOS 7 users unable to access location services. - The audible alarm can be set to go off every 30, 60, 90, or 120 seconds. 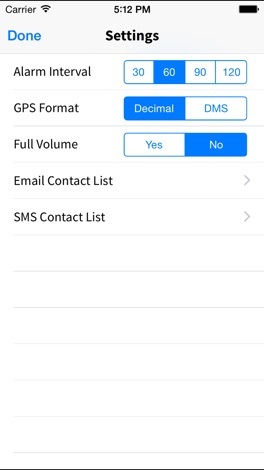 - An unlimited number of email addresses and phone numbers can be pre-programmed to be automatically set in the “To:” field of the email/sms dialog. 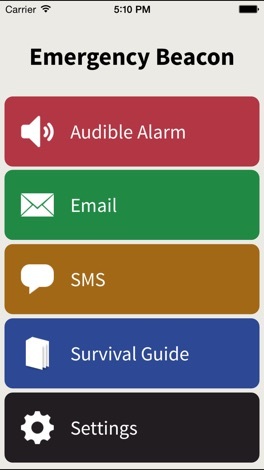 - The survival guide features vital information to help you survive an emergency situation and is accessible offline. 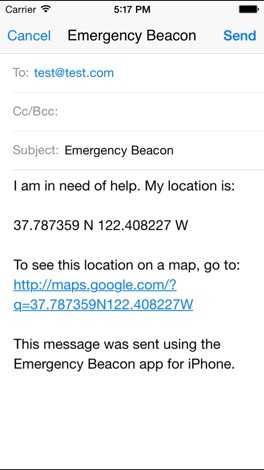 Emergency Beacon is a must-have app for your iOS device. Please note that this app does not have any affiliation with rescue organizations and is owned and updated by a completely outside source. The app's owner, developers, sponsors, and affiliates are in no way liable for the use/misuse of this application or the actions of the rescue team(s) working with the application. This app is made to be an extra tool in emergency situations and should not take the place of other safety measures. The GPS functionality of the app is dependent on the location functionality of iOS devices. The ability to find coordinates and the accuracy of those coordinates is a function of the device and not Emergency Beacon. If you have any questions or problems with the app, please let us know via our website. Thanks! A captivating puzzle game with an immersive interface. Qvoid is a 3D puzzle game with an original objective: mix and match all the colors by carrying them within the cube. How to play: swipe your finger to make the cube slide over other cubes and try to make them all turn into the same color. Collect a color and give it to another cube, that's how…. Learn Latin in seconds and maintain it year-round. Collect stars by identifying commonly used Latin words and phrases. Memorize over 200 vocabulary words in a series of short but increasingly challenging word puzzles. Then finish the game to unlock fresh challenges each day and maintain your newly-minted vocabulary.